I have no idea how food bloggers blog several recipes a week. Do you realize that at just one a week that is 52 a year and over a hundred every two year? How in the world do they do that? Well, clearly I am a newb! Do you have those days when you forgot to defrost the meat you were supposed to use for dinner? I sure do. Years ago I found a way around this dilemma, other than remembering to get the meat out ahead of time. I had purchased a Turbo Cooker on clearance at Walmart and read the directions. I found out that if you put frozen meat in the pan and the lid on the pan, it would cook the meat — all the way through. It was amazing! I loved it and it saved my behind many times. Well, we had this pan for years and it finally was so scratched that I was very concerned about the negative side effects of the non-stick surface being scratched, as I had heard that it can be so bad the fumes could kill birds. So, I sadly got rid of the pan. I replaced it with a cast iron skillet. I really missed cooking meat from frozen, so one day I tried it. Do you know what? It worked! So here’s what you do: Put your chicken breast, pork chop, or other similar piece of meat in a skillet that has a lid over medium to medium high heat. I like to spray my skillet with oil spray first. Place the lid on the skillet and cook for about 5 minutes, length of time depends on the thickness of the meat. When the meat is gray and some of the blood is on the top of the meat, flip it over; what was on the bottom should be nicely browned. At this point you can choose weather or not to put the lid back on because it is nearly done. As soon as this side is browned. If at any point it seems to be burning or smoking a lot, add a tablespoon of water or so to release the meat from the skillet. It will take a few minutes longer than if the meat was thawed first. 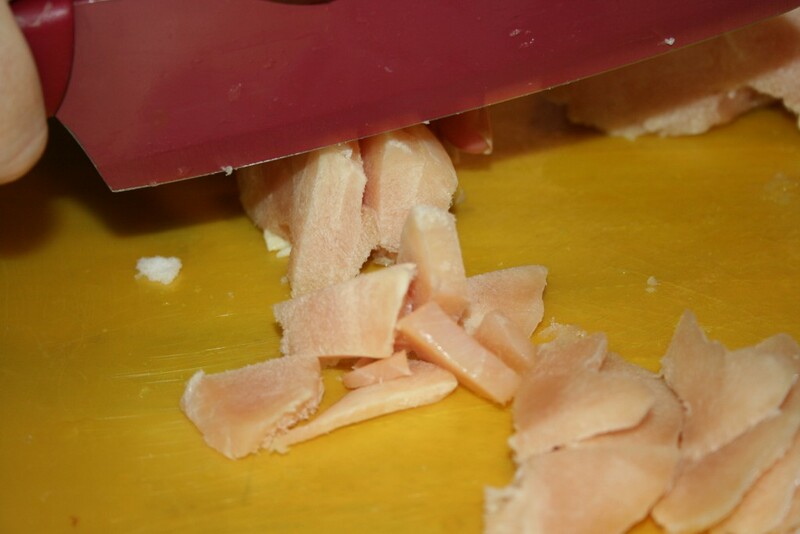 If you have a strong knife with a serrated edge or a sharp edge, you can cut slightly thawed meat by putting pressure on the knife and pushing it through the meat, if you need your meat cubed. 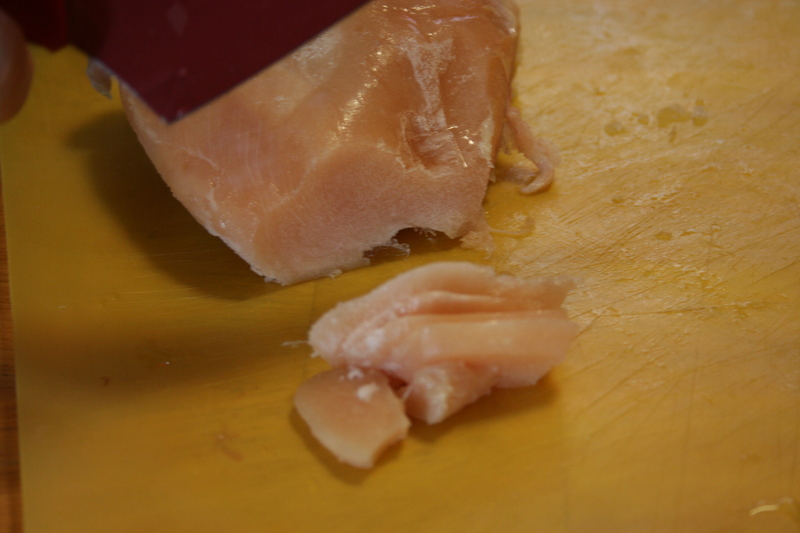 It will cook faster in small pieces but it might take a while to cut it depending just how frozen it is. My favorite is frozen ground meat because all you do is get it out of the package and put the frozen block of meat in the skillet with the lid on top. Every few minutes, rotate the meat and scrape off whatever part has browned and/or is soft, letting it cook on another side. Since the lid is on the skillet, meat on top of the frozen block will soften. It can be scraped off into the pan to brown. It is a great dinner saver!